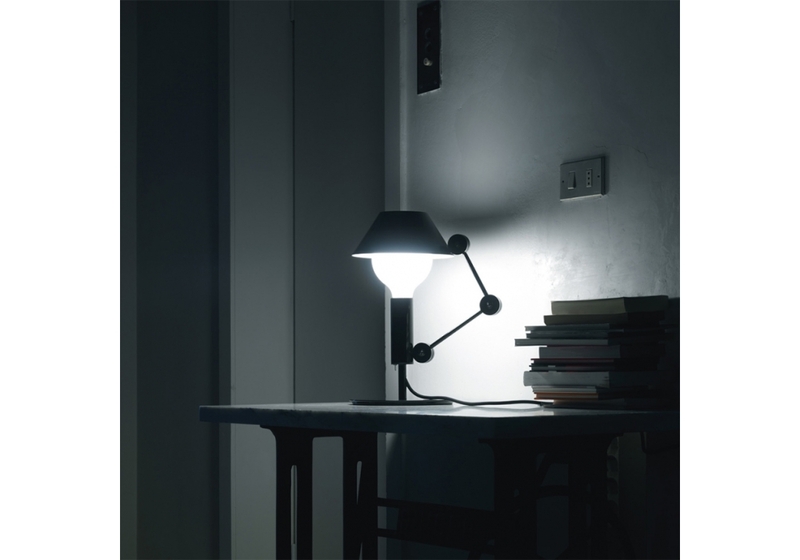 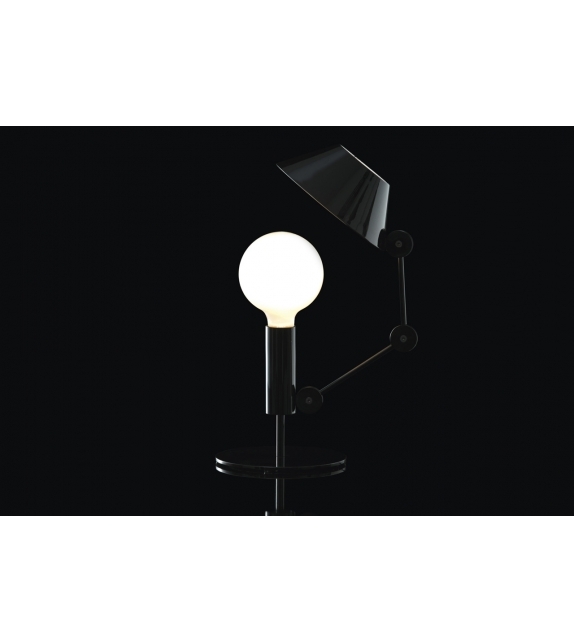 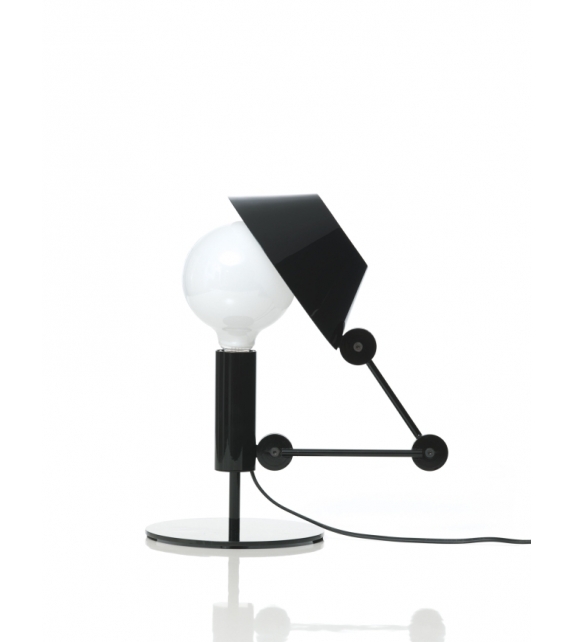 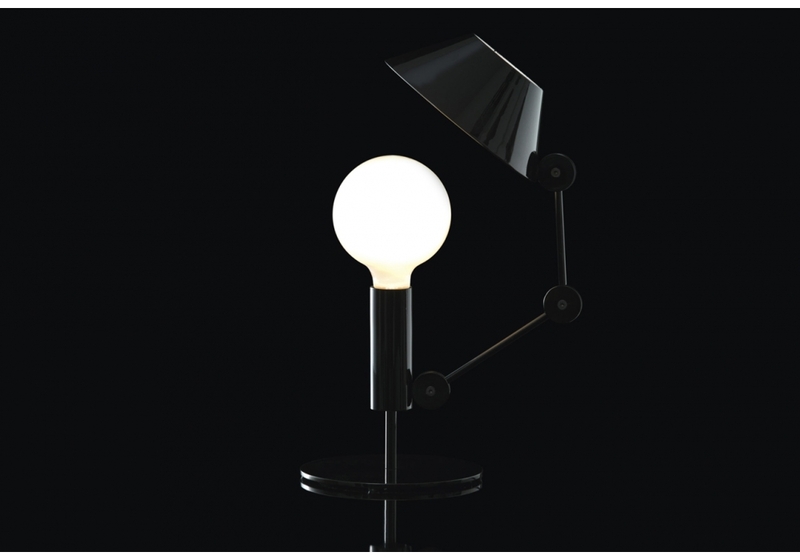 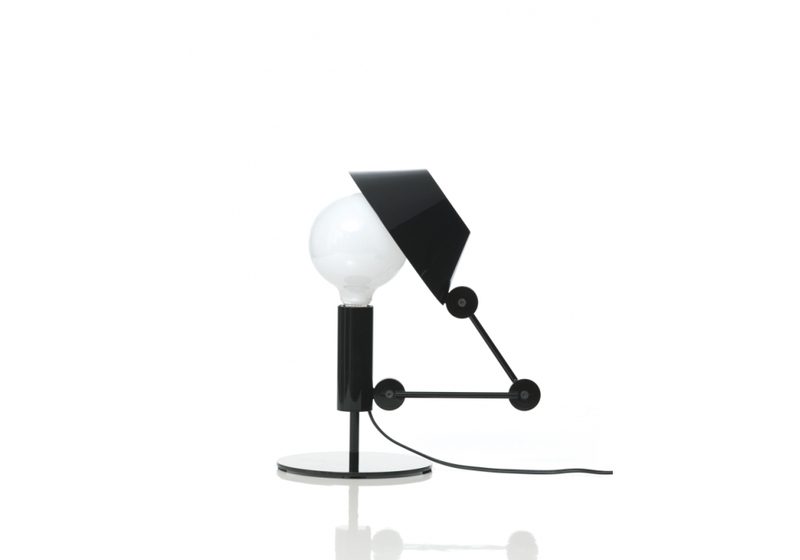 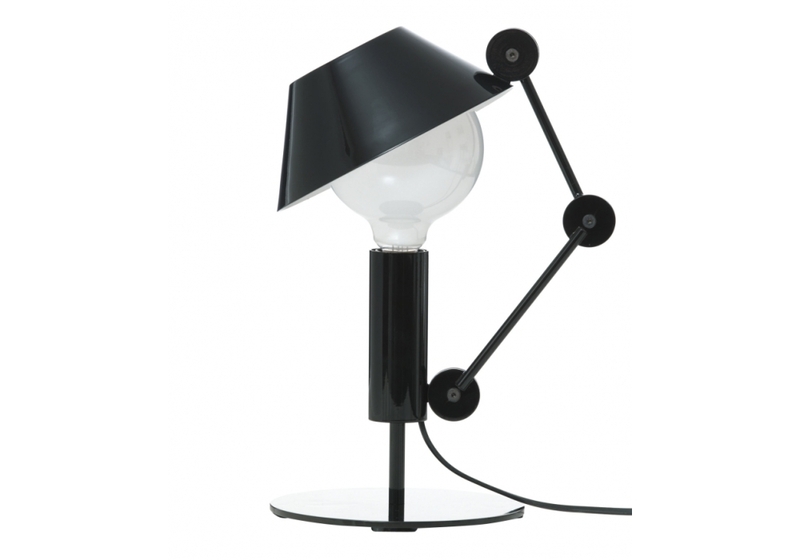 Mr. Light Short by Nemo is a table lamp, with floating arm and body in matt black metal. 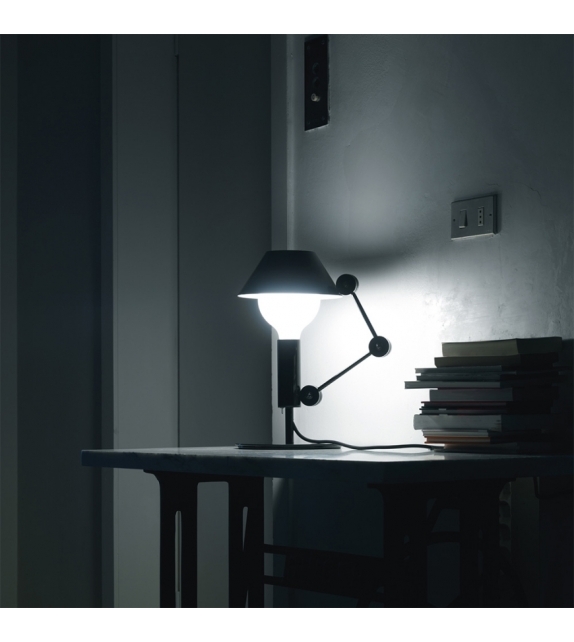 Two-coloured diffuser, with matt white inner part, for a widespread light. 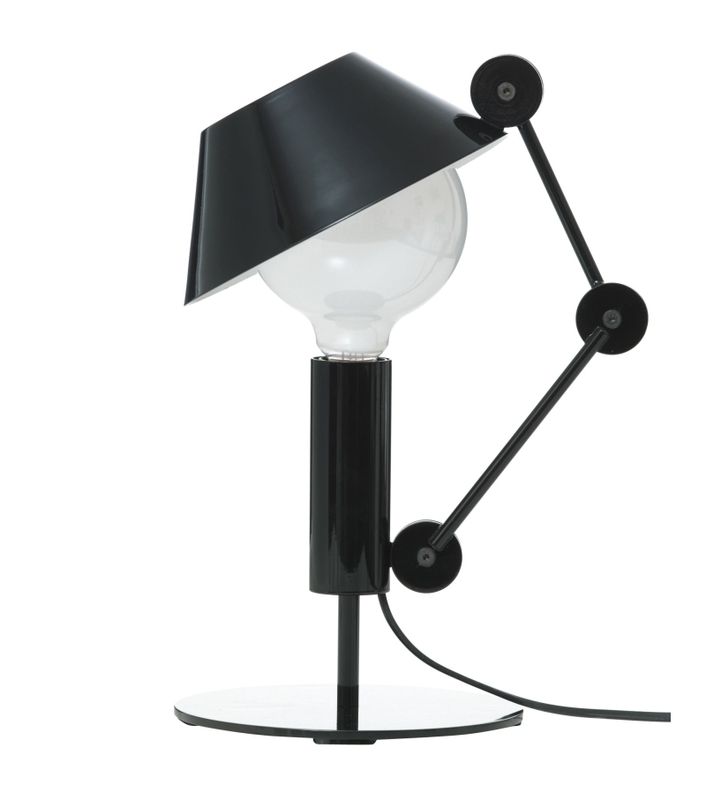 Light output in the upper part can be reduced thanks to the hat covering.